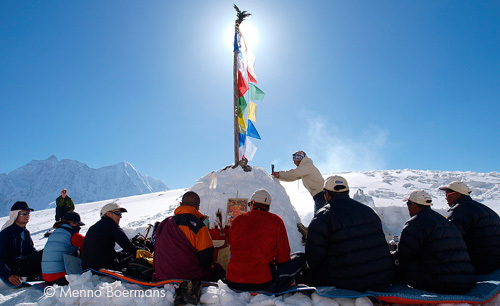 Together to your summit! How do you ensure the achievement of a seemingly unattainable goal and success together? What are the hurdles to collaboration and how do you overcome them? How do you create Win-Win- and top performance situations? This is what the ‘Teamwork to the top’ presentation is all about. 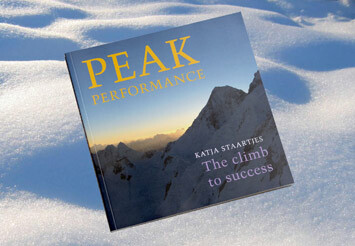 Allow Mountaineer Katja Staartjes’ amazing photographic images to take you to the highest mountain peaks in the world. 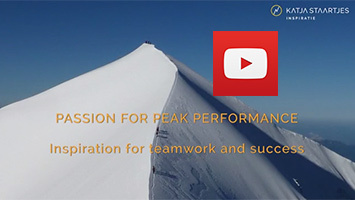 This presentation focusses on climbing the giant Gasherbrum I (8068 m) mountain in Pakistan (a Dutch first). 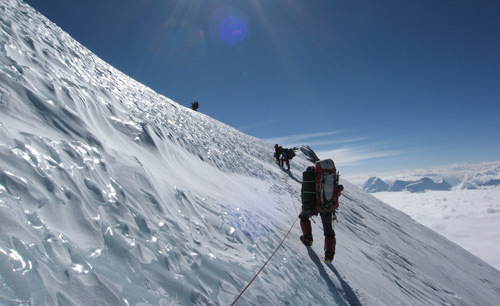 The team encountered the most challenging of conditions, and success seemed to be just an illusion. It all became a true ordeal in terms of confidence, resilience and teamwork. 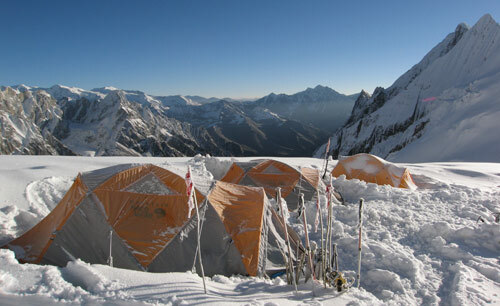 Eventually, after six weeks of hard work, and thanks to collaboration with two other teams, the peak was reached. Success? This only becomes reality after a safe return. 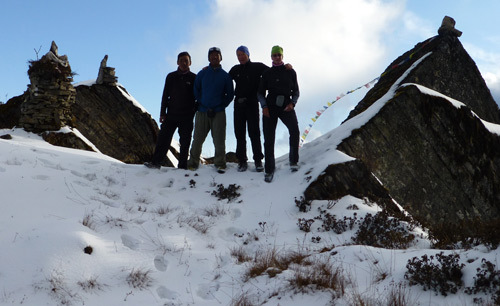 An excellent team spirit and good cooperation, it seems so easy, but what a challenge! How do you complement each other? Do you care for each other? And how about mutual trust? Teamwork is realising WIN-WIN! Do you take decisions and responsibility, including when things go wrong? How do you react under stress? And what in fact is authenticity and personal leaderhip? What determines whether you reach your personal/common goal or not? And return safely? How important is the process, the way you get to the top? The presentation usually last between 30 minutes and two hours, depending the objective of the event and size of the group. Katja Staartjes is looking forward to get in touch with you, to talk what fits best to your purpose. The impact of her story is partly dependent on the photographic material. So it is favourable, when there should be a large screen and the room can be darkened to some extent.